Ever wanted to help make something creative from the ground up, and watch the effect it has on others? Me too. It’s quite thrilling. Part of the reason why I compose is to give musical (and emotional) experiences to others. Much of this is driven by what I want to say as a person and artist, but on a commissioned piece I work in collaboration to make a piece with and for somebody else. Composing can be a lonely career, but finding connection to other musicians through the commissioning process keeps me connected and inspired. At the end of this page you’ll find a list of some of the groups by which I’ve been commissioned, but let’s save that for later and talk about the process first, shall we? If commissioning a piece is a collaboration, the depth of that collaboration exists somewhere on a spectrum. On one end I’ve been told to write whatever I want, and on the other end I’ve been given a duration, instrumentation, and sometimes even a previously selected text (for choral music). I don’t particularly enjoy either of those, because somewhere in between lies great conversations and the chance to make something greater than either I or the commissioning party could on our own. If this process interests you, and you want to be involved in the creation of some brand new music, let me know. You don’t even have to have a performer or performing ensemble in mind. I’ve got loads of projects that are just ideas, and I’m waiting for the right time to get started. Anyone can commission a new work. It doesn’t have to be a choir director or a high-end donor. It can be anyone who has a reason to put new art into existence. People commission music not only for concerts, but for weddings, anniversaries, graduations, recitals, and birthday presents. I want to commission a new piece. Where do I start? Take stock of the composers you like. Which ones’ work has your group already performed? Whose music do you like? Are you thinking about specific instruments or voices already? You could find somebody who has written a lot for the specific instrumentation: they know the capabilities and limitations already, so that’s a plus. Or, you could find a composer who has a distinct musical voice, but hasn’t yet written for your particular instrumentation or voicing. Also consider that some composers are easily contacted, some are not. If there’s a composer who catches your ear, track them down (asking around sometimes can help) and find out if they’re taking commissions. I have a composer in mind that I’d like to commission, but their music is too hard for my group. Should I look elsewhere? Not necessarily. One of the benefits of commissioning is the ability to set guidelines for the piece. If it’s important to your collaboration, you get to work with the composer on the instrumentation and voicing, duration, and the difficulty level. The composer should tailor the piece for your group. However, there are many stories about composers missing the mark as far as difficulty is concerned. Ask if they're willing to consider edits when it comes to the difficulty of the piece. What if I don’t have a strong idea for a project yet? As a composer, it is easier to narrow down the focus of a search for musical ideas or texts when there are a few guidelines from the group or person who is commissioning the piece. However, don’t worry about coming to a composer with nothing but the desire to have a new piece of music written. Most composers have so many ideas they’d like to try – they’re likely to have three or four to talk about with you. How much does it cost to commission a new work? The cost varies between composers, and a lot depends on how long the piece is to be, and the final instrumentation. I’d recommend looking at the guidelines set forth by New Music USA. 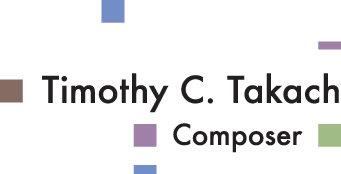 They have published a range of rates from professional composers, and it’s a great place to start when you’re figuring out how much a new piece will cost. Don’t be afraid to start a dialogue about commissioning with a composer. Many projects that people brainstorm don’t yield an end result. But the conversations you have might flesh out your own ideas, and make the project become clearer. Maybe you can’t afford the composer you talk to, or the two of you don’t see eye to eye about the scope of a project, but you’ve still gained a little by hearing from the composer’s perspective. Can you describe your musical style? Have you written for __(voicing)__ before? When would you be able to write this? - or - Can you get a piece done by__(date)__? I would also recommend contacting someone from a group who has commissioned the composer in the past. Ask how the experience was. You might gain some valuable information!